We love this clever historical take on who's runnin New York. It was hotter than Hades yesterday in the Chi which made for a perfect night to gallery hop. After stopping by Lynette Astaire's exhibition at Marwen, we headed over to Phaiz for the "It's Pop It's Art" show that is on a world tour. The group show featured work that expressed specific music lyrics through various mediums. Notice any familiar faces? Last night was the annual Rock the Kids fundraiser at Debonair Social Club. I think it was a good turnout. Hope they made lots of money. There was a point when fanny pack girl was making love to girl in yellow. There's nothing like going into your office and finding a box of new gear. New Cake shirts, Lazy Girl(the one with the polaroids) and We Run New Amsterdam delivered yesterday morning. These will be for sale this week for a wopping $36 bucks. Do people even do shoutouts anymore? Well, we would like to say thanks to The Finest Living, Lipped Jeans and Female Sneaker Fiend for the lovely write-ups. Links to the right! And this goes for restaurants too. So we tried this new Korean joint, Crisp, because we heard they had great chicken and traditional Korean staples like Bi Bim Bop. Bottom line, it was a fun, inexpensive dinner, chill environment and one of the few reasons to eat in Lincoln Park. Warning! No alcohol though. Don't forget your flask. "Hi, We are Eio Clothing, a small streetwear brand from the uk that has built up a cult status for individuality and creativity. We just wanted to bring to your attention one of our designs that has been blatantly ripped of by the Just Jeans Company (Australia). As you can see from the images the only difference is they have changed our logo for theirs (even the models show an uncanny resemblance)! Unfortunately i can’t link directly to the tee on their site since it is no longer up there. 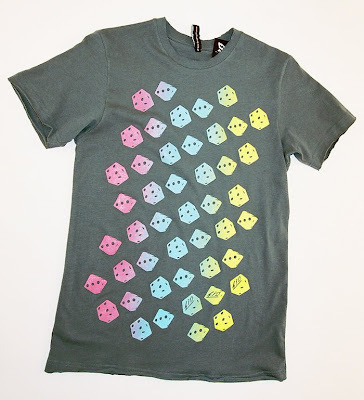 The Dice tee has been a classic for us. We released it 2 seasons before Just Jeans. They are a huge company with about 300 stores across Oz. We don’t know if they knew about this directly or if it was just some low life on their design team. Anyway glad a blog like yours exists to at least have some come back." Today was laundry day for us. Check out the old-school cart and everything. Yeah, really working hard with the CS mag and green tea latte. We wanted to share this trailer from Chicago's own Reggie-Know. For those that don't know, the man behind Dem Dare and those famous "Obey Your Thirst" commercials. A perfect combination of anime and 90's hip-hop. Pay attention or you'll miss an intricate detail! 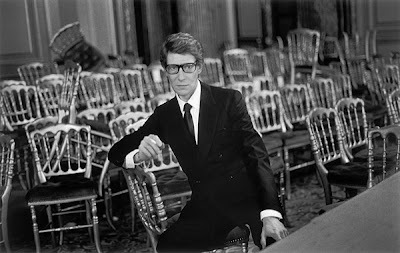 Just wanted to take a moment to say goodbye to Yves Saint Laurent. He was one of the first designers to use black runway models and made haute couture approachable for everyone with his Rive Gauche line. 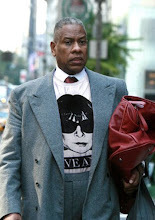 There would be no casual chic without him. Show homage!